One might think that getting Dad to the spa for a massage and a pedicure would take some super hero effort - and that might be true to some extent - but once he's here, and we've seen it before, he'll enjoy it SO much that he'll probably be back for some more R&R. 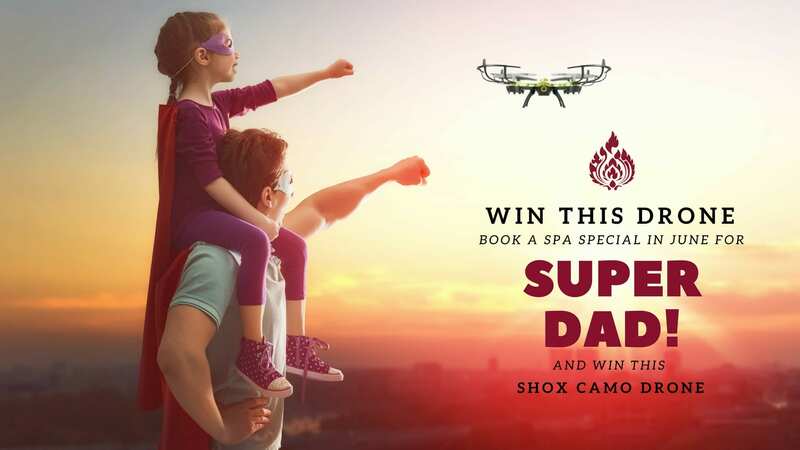 Our Father's Day Spa Packages have been designed specifically for a man to enjoy - and besides, we've sweetened the pot for you with a super gadget - a Shox Camo Drone Prize. Because Super Dad is also a Gadget Man! Our Father's Day Spa Packages are extended for the WHOLE MONTH of June - not just one day. Prices are per person and includes a discount of roughly 10% off our regular prices. Book and pay for a Super Dad Father's Day Spa Package special and dad will automatically be eligible to win this Shox Camo Drone worth R999. The winner will be announced on the last day of June 2018 - we will contact the winner via customer details supplied when booking. The winner can redeem the prize at the Spa where photographs of the winner and spa owner, Sherril Rankin, will be taken for all our social media channels and website. UPDATE: The winner of the Super Dad Shox Drone is Super Dad Zozo Sigodi. We loved the whole "Super Dad" theme so much we thought it would be wonderful to open a separate MINI COMPETITION on Facebook where you can share cute pics of Dad doing his Super Dad thing. Best pic gets a R250 Spa Voucher. Join our closed Facebook Group called Super Dad - Click here to join. We wanted your pics to be safe - which is why it's a CLOSED group. After joining the group (once your request to join has been approved by Sherril) - you'll be able to post your pics. Submit as many as you like - they have to be CUTE - they have to be SFW (Safe for Work) - subject HAS to be about DAD. YES - you can dress up for the photo, NO - you don't have to dress up for the photo. Just remember - the THEME = SUPER DAD! The winner will be announced on 1 July 2018 - we will contact the winner via the facebook group. 1. Terms and conditions applicable to the Royal Orchid Thai Spa and Hair Salon Competition 2018 (Reg No 2017/276053/07). 2. Competition runs over the period from 01 June 2018 to 30 June 2018. Entries will be automatic with each 2018 Father’s Day packages booked and redeemed and or before 30 June 2018. 4. Participants may not enter or receive a prize if they are associated with the company or any other person who directly or indirectly involved with the company or their spouses, life partners, immediate family members. 5. Book and redeem your Father’s Day Package option and you will be automatically be entered to the draw for the Drone. 6. You can book and redeem as many Father’s Day Packages as you prefer to increase your chances of winning. 7. Royal Orchid Thai Spa and Hair Salon may require to use the winner and/or participants in marketing collateral, including but not limited to, on the Royal Orchid Thai Spa and Hair Salon Facebook page, Instagram or website. This will be without any liability to Royal Orchid Thai Spa and Hair Salon and there will be no remuneration due to the winner, participants or any third parties. 8. The winner will receive one Shox Raptor Camo Drone only. 9. The draw will take place on the 1 st of July 2018. 11. Nothing in these terms and conditions is intended to, or must be understood to, unlawfully restrict, limit or avoid any rights or obligations, as the case may be, created for either the Participant or the Promoter in terms of the Consumer Protection Act. 12. 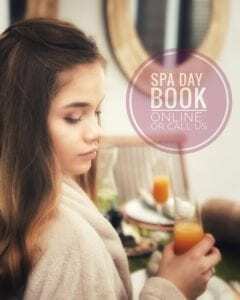 By entering, a Participant acknowledges that personal information about the Participant will be shared with Royal Orchid Thai Spa and Hair Salon and their agents to the extent necessary to conduct the Competition, determine the winners and for prizes to be delivered to prize winners. 14. By entering this Competition, all Participants agree to be bound by these terms and conditions, and Royal Orchid Thai Spa and Hair Salon and/or judges’ decision regarding determination of the winners (whose decision is in their discretion) and any issue with the Competition will be final and binding and no appeals or correspondence will be entered into. 15. The prizes are not transferable or negotiable. 16. Royal Orchid Thai Spa and Hair Salon will not be liable for any loss suffered as a result of incomplete or incorrect information provided. 17. All publicity and other materials carrying the Competition’s logo will be the sole property of Royal Orchid Thai Spa and Hair Salon. Please note that the following terms have the effect of you waiving certain rights you may have had against Royal Orchid Thai Spa and Hair Salon. Pleaseread it carefullyand contact Royal Orchid Thai Spa and Hair Salon if you have any questions! 18. Royal Orchid Thai Spa and Hair Salon reserves the right to shorten, extend or suspend the time period of the Competition, the dates of the draws, or terminate the Competition whenever it should so choose for technical, commercial, or operational reasons, or for reasons beyond its control or generally for any reason whatsoever within their sole discretion. The Competition, its prizes, and terms and conditions may be amended by the Promoter, at any time during the Competition, and will be applied and interpreted within their sole discretion.In such an event, all Participants waive any rights that they may have/purport to have in terms of this Competition, and acknowledge that they will have no recourse against Royal Orchid Thai Spa and Hair Salon whatsoever. 19. To the fullest extent permitted by law, by participating, the Participant indemnifies, releases and agrees to hold harmless Royal Orchid Thai Spa and Hair Salon assigns from any and all claims or liability arising from participating in the Competition, any Competition-related activity and/or acceptance, receipt, possession or use/misuse of any prize. 21. The laws of the Republic of South Africa shall govern these Competition terms and conditions and the courts of South Africa shall have exclusive jurisdiction. 22. For further information or to request a copy of these terms and conditions go to www.royalorchidthaispa.co.za or contact +27 64 649 2533 +27 76 988 4735 during office hours. 2. Competition runs over the period from 01 June 2018 to 30 June 2018. Entries will be automatic with each 2018 Father’s Day superhero photo sent to our Facebook Page or before 30 June 2018. 3. The competition is open to all clients that upload their selected image onto the Facebook page. 5. 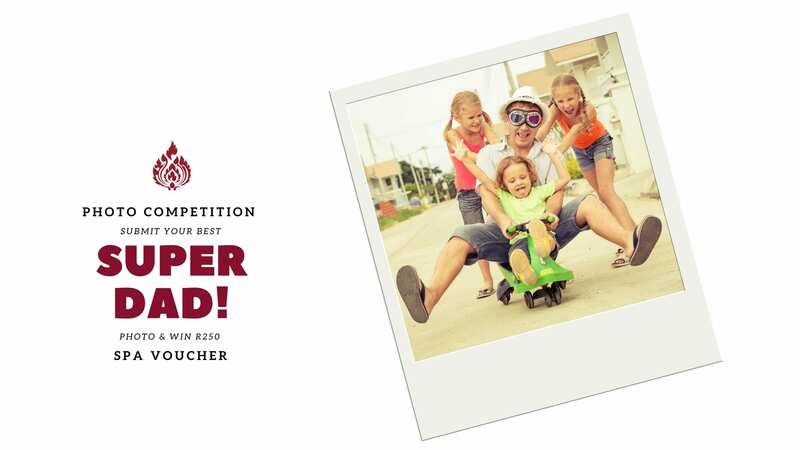 Request to join the Super Dad Group on our Facebook Page and upload your image/s and you will be automatically be entered to the draw for a R250 (two hundred and fifty rands only) Royal Orchid Thai Spa Gift Voucher. This can be redeemed for the Spa services only. 6. 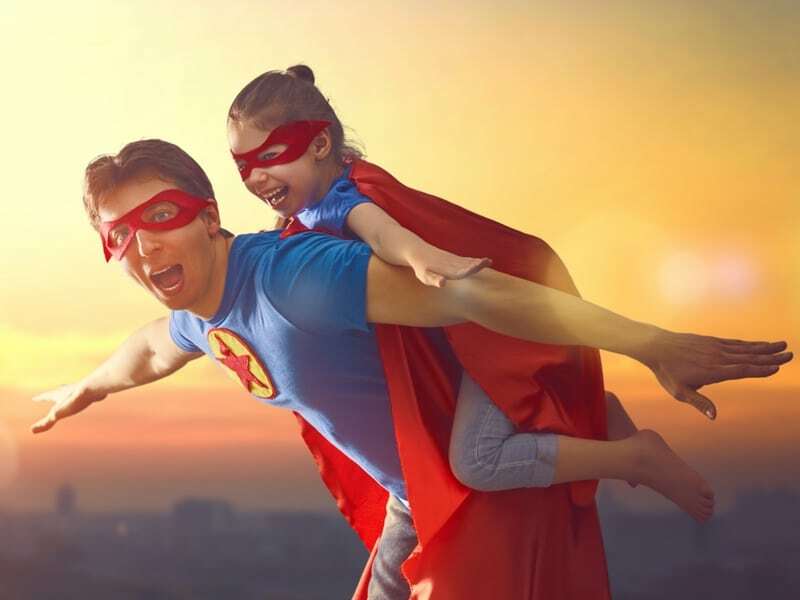 You can upload as many Father’s Day Super Hero images as you prefer to increase your chances of winning. 8. 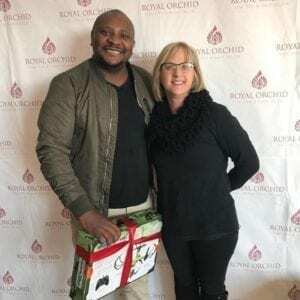 The winner will receive one R250 (two hundred and fifty rands only) Royal Orchid Thai Spa Gift Voucher. This can be redeemed for the Spa services only. 9. The draw will take place on the 1st of July 2018. 10. Royal Orchid Thai Spa and Hair Salon will make 3 (three) attempts within 72 (seventy-two) hours to contact and notify the selected winner telephonically. If the selected winner cannot be contacted personally after 3 (three) attempts, or if after first being contacted by Royal Orchid Thai Spa and Hair Salon, is not reachable, or the winner fails to provide Royal Orchid Thai Spa and Hair Salon with the required information to hand over the prize, the winner will forfeit the prize and a replacement winner will be selected from the remaining qualifying participants. This process shall continue until the winner has been contacted and the prize has been awarded in terms of the Competition rules. 13. All personal information relating to the Participants will be used solely in accordance with South African consumer and data protection legislation. 15. Participants are responsible for their own costs of connecting to the internet. No responsibility is accepted for any entry that is not delivered, received or is delayed or damaged due to technical reasons or failure on the part of your service provider. Proof of sending is not proof of receipt. 16. The prizes are not transferable or negotiable. 17. Royal Orchid Thai Spa and Hair Salon will not be liable for any loss suffered as a result of incomplete or incorrect information provided. 18. All publicity and other materials carrying the Competition’s logo will be the sole property of Royal Orchid Thai Spa and Hair Salon. Please note that the following terms have the effect of you waiving certain rights you may have had against Royal Orchid Thai Spa and Hair Salon. Please read it carefully and contact Royal Orchid Thai Spa and Hair Salon if you have any questions! 19. Royal Orchid Thai Spa and Hair Salon reserves the right to shorten, extend or suspend the time period of the Competition, the dates of the draws, or terminate the Competition whenever it should so choose for technical, commercial, or operational reasons, or for reasons beyond its control or generally for any reason whatsoever within their sole discretion. The Competition, its prizes, and terms and conditions may be amended by the Promoter, at any time during the Competition, and will be applied and interpreted within their sole discretion.In such an event, all Participants waive any rights that they may have/purport to have in terms of this Competition, and acknowledge that they will have no recourse against Royal Orchid Thai Spa and Hair Salon whatsoever. 20. To the fullest extent permitted by law, by participating, the Participant indemnifies, releases and agrees to hold harmless Royal Orchid Thai Spa and Hair Salon assigns from any and all claims or liability arising from participating in the Competition, any Competition-related activity and/or acceptance, receipt, possession or use/misuse of any prize. 22. The laws of the Republic of South Africa shall govern these Competition terms and conditions and the courts of South Africa shall have exclusive jurisdiction. 23. For further information or to request a copy of these terms and conditions go to www.royalorchidthaispa.co.za or contact +27 64 649 2533 +27 76 988 4735 during office hours.